Injuries and infections can lead to kidney pain, which is marked by one-sided and dull pain particularly in the upper back part of the body. Urinary symptoms and fever are some of the symptoms of this severe pain condition, which usually affect the right, left, lower and even the upper parts of the kidneys. For a better understanding of this medical condition, it is good to focus on its symptoms, diagnosis, treatments as well as causes. 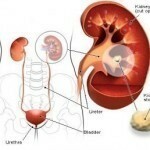 There are many symptoms of kidney pain, one of the most notable of which is the change of urine color. If the urine is beyond the normal yellow color and colorless variations, that individual must be suffering from this chronic pain condition. Aside from color change, change in urine odor is another important symptom, which clearly indicates that something is not quite right. Other signs are blood in the urine, incontinence and the urgent need to urinate. This is usually associated with a shooting pain and a tingling sensation that can really make patients uncomfortable. Aside from the sharp and stabbing pain, patients may also experience other symptoms of a painful kidney such as increased urination, swelling and flank pain. More than anything else, this medical condition is associated with painful urination as well as burning sensation. There are various causes of pain in the kidney area. Among the most common causes are urinary tract infection, renal vein thrombosis and polycystic kidney disease. Additionally, medical conditions like pyelonephritis, kidney cancer and hydronephrosis are also believed to cause this kind of pain. Other possible causes include horseshoe kidney, the bleeding of kidney as well as atherosclerosis. The diagnosis of this kidney disorder is very important, especially in determining the causes of pain as well as the possible treatments for such condition. Urinalysis is usually performed to check the levels of different elements in the urine like nitrites, blood and ketones. Part of this is to check urine acidity as well as the concentration of urine, which are keys to a successful diagnosis. 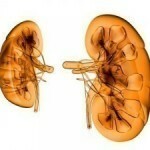 Other diagnostic procedures that patients need to undergo are kidney function tests and urine culture. 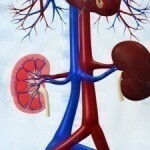 Moreover, imaging tests also play crucial roles in the proper diagnosis of kidney pain. These include angiography, radionuclide scanning and cystourethrography. The other producers are intravenous urography, magnetic resonance imaging and x-rays. If the pain is caused by pyelonephritis, the oral intake of antibiotics is needed remove obstructions. Meanwhile, if the pain is due to glomerulonephritis, patients need to take antibiotics for as long as two weeks. Ample rest is also necessary. To eliminate uric acid stone, the drug called Allopurinol is necessary. For large kidney stones, there may be a need for ureteroscopic surgery.